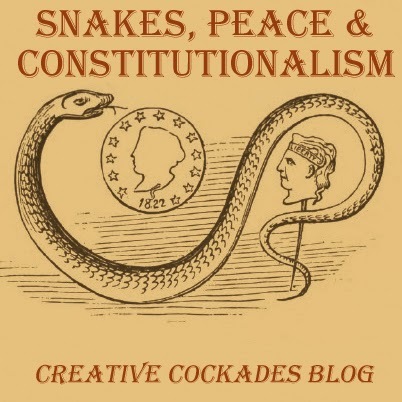 Copperheads were "Peace Democrats" - Northerners who believed for various reasons that the Civil War should be ended. They were called "copperheads" because their opponents viewed them as "snakes." Taking the name as a badge of honor, they wore literal badges that were a play on the words "copper" and "head." 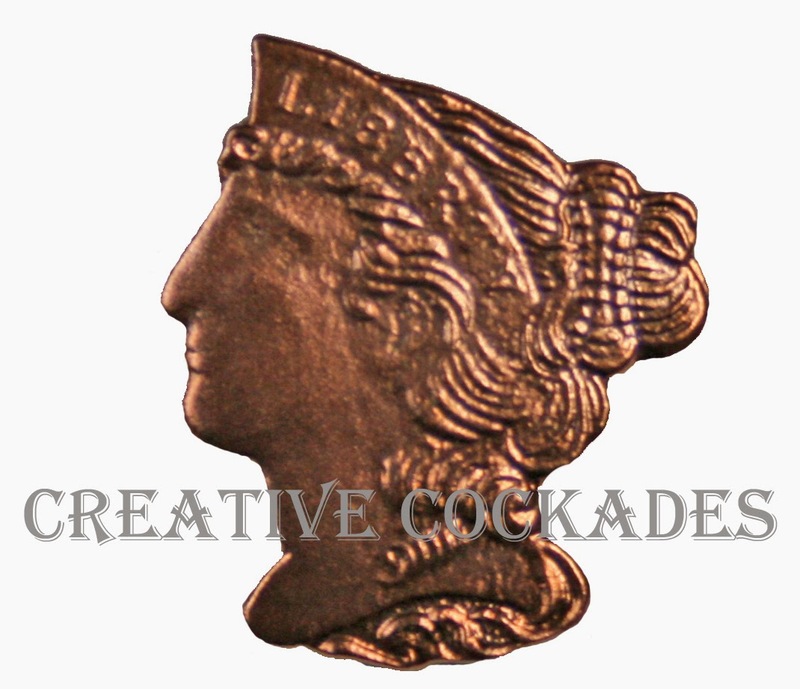 Copperhead badges were the head of Lady Liberty stamped on copper 1-cent coins. Sometimes the coin was pierced and worn as a watch fob. More often, Lady Liberty's head was cut out and worn as a pin. 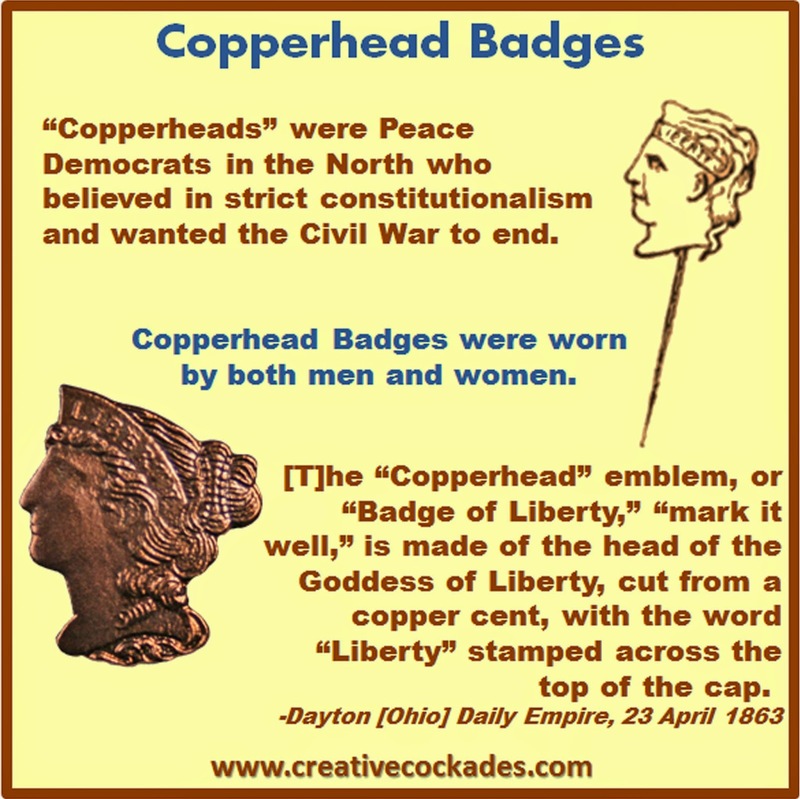 The Dayton (Ohio) Daily Empire explains, "the 'Copperhead' emblem, or 'Badge of Liberty,' 'mark it well,' is made of the head of the Goddess of Liberty, cut from a copper cent, with the word 'Liberty' stamped across the top of the cap." Both men and women proudly wore these badges - or secretly wore them, if public feeling against them was violent. Emotions ran high between Copperheads and their opponents, the "War Democrats" and Republicans. 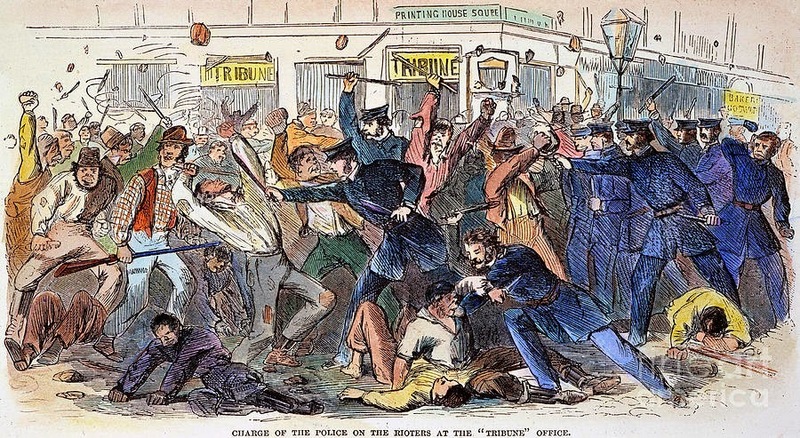 I found a wealth of primary sources detailing everything from inter-family arguments to city-wide riots between the two factions. Those wearing Copperhead badges faced the real possibility of having the badge literally ripped from their clothing by their opponents. Here is a typical story. "The Muskadine (Iowa) Journal says there was an exciting time at the anniversary exercises of Cornell College, at Mount Vernon, June 26th. It seems that a dozen persons from Marion appeared in the crowd with copperhead pins. About two thousand persons were present, the exercises being held in a grove. "On the appearance of the secesh emblems all business was suspended by the tumult, and every copperhead badge was hastily taken from its owner, and he forced to hurrah for the Union. A gray-headed traitor, who has been blatant for the Southern Confederacy, declared that he would not hurrah for the Union; but a little choking brought him to terms. One woman had on the Southern badge, which was torn from her breast, clothes and all, by another young woman. The latter had her bonnet destroyed in capturing the pin, and some young men raised eight or ten dollars instanter to replace the bonnet. The copperhead pins being all 'cleaned out,' the exercises were resumed and passed off very satisfactorily." What Were the Copperhead's Issues? 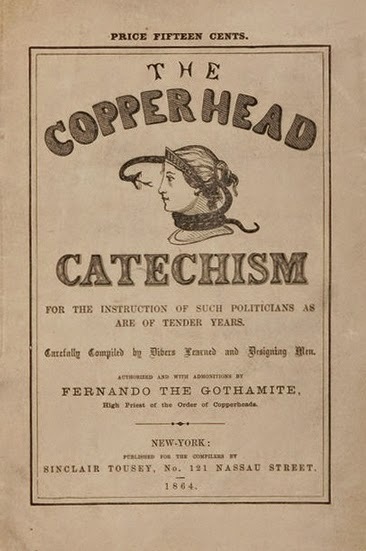 In spite of this opposition, Copperheads existed all throughout the Civil War. 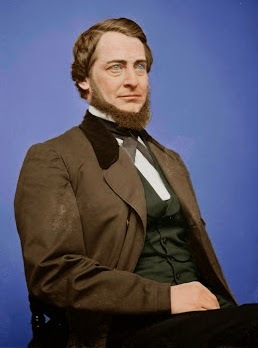 In fact, the movement had grown strong enough by 1864 that the Peace Democrats wrote the Democratic party platform and ran a candidate (George Pendleton) for Vice President. What were the issues that motivated so many people in the North to oppose the war? 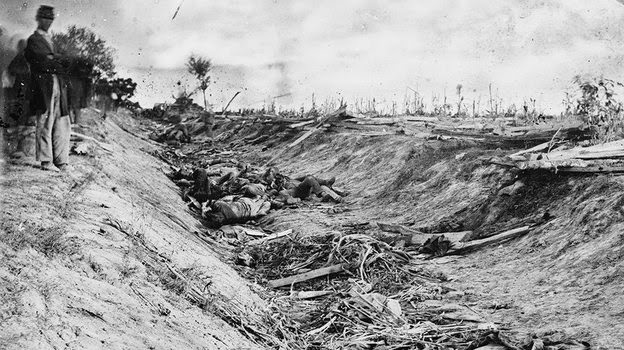 A wide range of topics brought Peace Democrats together but they all boiled down to two basic issues: A conservative view of the Constitution, and a desperation to see the horrors of the Civil War end. The Peace Democrats warned at the beginning of the war that Lincoln's party was twisting the Constitution and encroaching on personal liberty. They forecasted dire consequences from national recession to the loss of personal freedom and even to the loss of the war. As the war went on and the death toll mounted, their worst predictions were fulfilled and the Copperhead movement gained traction. Here is a quick list of some Copperhead grievances. When you look at this list and also consider how badly the war went for the North during the first several years, it's easy to see why the Copperhead movement gained traction. 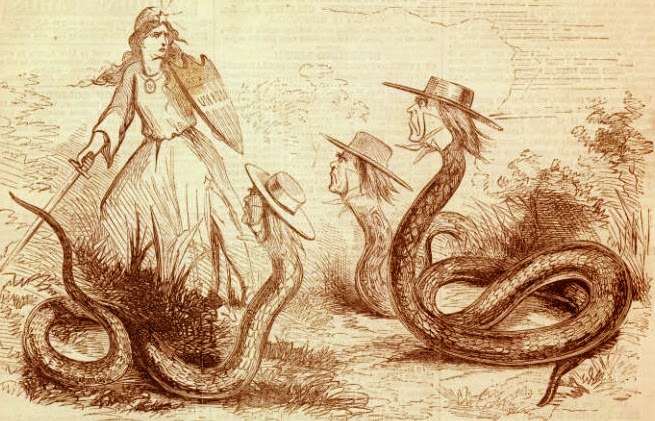 Most Copperheads believed secession was legal (actually, most Americans believed that until the Civil War). They didn't want the Southern states to secede but felt that the best way to prevent it was to deal with the issues that prompted secession, not go to war. Senator James A. Bayard of Delaware summed it up: "I differ from honorable Senators as to what constitutes the life of the nation. In my judgment, the life of a free people consists in the preservation of their liberties, not in the extent of their dominion." With the Northern victories at Atlanta in the East and Mobile Bay in the West, many Peace Democrats changed their minds and just wanted to finish the war victoriously. Thus, the Copperhead movement essentially died with the reelection of Lincoln in November 1864. My research of the Copperheads started when a customer asked me if there were Copperhead cockades. As nearly as I can tell, Copperheads stuck to their Lady Liberty badges, occasionally varying them with a butternut (also a Southern emblem). It was their opponents, Republicans and War Democrats, who wore the tricolor cockades. The Dayton (Ohio) Daily Empire described the opposing emblems this way: "The 'Abolition emblems,' mark it well, are the eagle buttons, the tri color, and the stars and stripes. The 'Democratic emblems,' are 'copperheads' and 'butternuts'." copperhead badge My reproduction Copperhead badge! After painstaking research, I partnered with a local craftsman jeweler to create beautiful exact reproductions of the Copperhead badge! 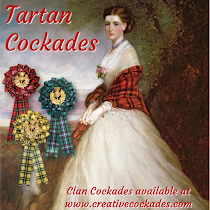 I will be premiering them in my shop this week. 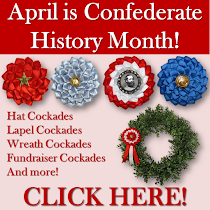 Of course, I also carry "tricolor" Union and 1864 campaign cockades too - so whether your sympathies are with the War Democrats or the Peace Democrats, there's a badge there for you! Need a quick summary to remember the Copperheads? Here's an infographic to save!